Established in 1976, We are Top Chartered Accountant Firm in Delhi, Gurgaon, India providing Legal, Income Tax, GST & Corporate Advisory Services to Multinational Companies in Manufacturing & Service Industry in India. 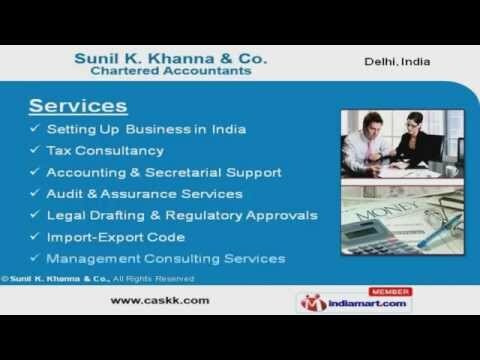 About Sunil K. Khanna & Co.
Having experience of over four decades, we Sunil K. Khanna & Co. established in 1976, is Top Chartered Accountant in Delhi, Top Chartered Accountant in Gurgaon, Top Chartered Accountant in India providing services of Legal, Income Tax, Corporate Advisory, Accounting & GST. Our services include Setting up Business in India, Startup Consultancy, Accounting/ Bookkeeping Services, Payroll Outsourcing, Income Tax Advisory, Company Audit, Company Secretarial Services, Legal & Regulatory Approvals from Reserve Bank of India, National Company Law Tribunal etc. 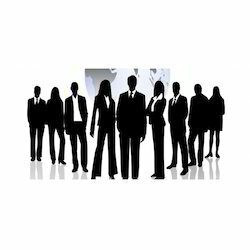 Our Clientele includes Inter National Group, Manufacturing Companies, Service Sector Companies, Foreign Company, Subsidiary of Foreign Company, Liason Office & Project Offices in India. We are Goods & Services Tax Consultant providing GST Registration, GST Implementation, GST Returns & GST Advisory Services. With the vision of Sh. 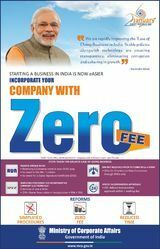 Narendra Modi, Prime Minister of India for Make In India we render assistance to Start Up Companies in Company Incorporation in India, Business Registration in India, Foreign Company Registration in India & help them entry into India & avail benefits provided by government of India. Our CA services in Delhi & CA Services in Gurgaon have enabled us to rank as Top Auditor Firm in India with World Presence. Sunil K. Khanna & Co., is a Top CPA Firm in India for Legal & Tax Advisory Services for Foreign Nationals, Tax Advisory for Expatriates, Tax Advisory Services for Non Resident Indians, Foreign Companies in India. We assist the Non Residents & Foreign Nationals in availing PAN Registration in India, advising them on Saving Capital Gains on Sale of Property, Obtaining Lower Rate of Deduction of Tax on Capital Gains, Filling of NRI Income Tax Returns & Ensuring Processing of Income Tax Refund in India. The Team at Sunil K. Khanna & Co. is serving clients from Albania, Argentina, Australia, Queensland, South Wales, Victoria, Auckland, Austria, Bahrain, Botswana, Brazil, Cameroon, Canada, Africa, Chad, Chile, China, Colombia, Croatia, Cuba, Cyprus, Czech Republic Denmark, Egypt, Estonia, Ethiopia, Fiji, Finland, France, Georgia, Germany, Ghana, Great Britain, Greece, Hungary, Iceland, Indonesia, Iran, Iraq, Israel, Italy, Ivory Coast, Jamaica, Japan, Jordan, Kenya, Kuwait, Laos, Liberia, Libya, Malawi, Malaysia, Maldives, Mauritius, Mexico, Mongolia, Morocco, Mozambique, Namibia, Netherlands, New Zealand, Nigeria, Korea, Norway, Oman, Pacific Islands, Paraguay, Peru, Philippines, Poland, Portugal, Qatar, Romania, Russian Federation, Saudi Arabia, Senegal, Seychelles, Singapore, Slovak Republic, Slovenia, Solomon Islands, South Africa, Korea, Republic of South Korea, Spain, SriLanka, Sweden, Switzerland, Tanzania, Thailand, Tunisia, Turkey, Uganda, Ukraine, Abu Dabhi, United Arab Emirates, DUBAI, USA, Toronto, Hamilton, Ottawa, Montreal, Vancouver, Surrey, New Jersey, New York, San Francisco, Baltimore, Washington, Boston, Atlanta, Minneapolis, Chicago, Dallas, Houston, Florida, Detroit, Cleveland, Pittsburgh, Los Angeles, Seattle, London, Southhall, Wembley, Hounslow, Brent, Croydon, Redbridge, Ealing, Barnet, Tooting, Harrow, Uruguay, Venezuela, Vietnam, Virgin Islands (US), Yemen, Zambia, Zimbabwe. Review and analyze cross-border tax issues, being mindful of key performance factors and short and long term business objectives. Scrutinize financial reports and statements in order to identify opportunities and capitalize on savings through the advantageous use of tax planning. Due Diligence for companies with respect to Income Tax Laws, Regulatory, Labour Laws, etc. and understanding accounting practices and internal systems for best company acquisitions. Prepare corporate and personal Income tax returns for Corporates & Income Tax Reurns for High Net worth Individuals. Expert Advisory under Income Tax, Goods & Service Tax. Manage Income Tax Audits and ensuring compliance in Tax Fillings. Review issues involving the India- International Double Taxation Avoidance Treaties. Compliance related to Tax Fillings and Clearances of Foreign Subsidiaries and Companies in India. Representation before Tax Authorities for Assessments, Appeals & Other Litigation Matters up till the Apex Supreme Court levels. Investigate complex issues such as individuals relocating to/from foreign countries, and considering the effect of the foreign holdings. Perform tax due diligence reviews for mergers and acquisitions of corporates. International Tax Advisory including tax issues of a corporation carrying on business in other jurisdictions. Conduct Statutory, Tax and Internal Audit of Financial Statements of Corporates & High Net Worth Individuals. Conduct Due Dilligence, Forensic and Limited Review of Financial Statements for Corporates and Multi-National Corporations. Investigating Serious Frauds and Maintaining trails to unearth complex issues. Reporting to Banks, Insurance Companies and Investigating Authorities on complex issues. Prepare and maintain compliance of Annual and Quarterly compliance''''s with Regulatory authorities such as Reserve Bank of India and Insurance Regulatory & Development Authority. Representation before Regulatory Authorities such as Reserve Bank of India to secure permissions and approvals for corporates, expats and individuals. Representation before Tax Authorities for Assessments, Tax Issues, Lower Tax Rate Approvals. 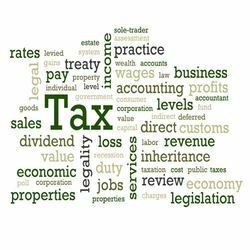 •	Review and analyse tax issues, both local and cross – border, being mindful of key performance factors and short and long term business objectives. •	Scrutinize financial reports and statements in order to identify opportunities and capitalize on savings through the advantageous use of tax planning. •	Prepare corporate and personal tax returns for Corporates & High Net worth Individuals. 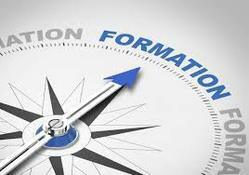 •	Expert Advisory under Income Tax, Service Tax, VAT/ Sales Tax, Excise and Goods & Services Tax. •	Manage Tax Audits and ensuring compliance in Tax Fillings. •	Review issues involving the India- International Double Taxation Avoidance Treaties. •	Compliance related to Tax Fillings and Clearances of Foreign Subsidiaries and Companies in India. •	Representation before Tax Authorities for Assessments, Appeals & Other Litigation Matters up till the Apex Supreme Court levels. •	Investigate complex issues such as individuals relocating to/from foreign countries, and considering the effect of the foreign holdings. •	Perform tax due diligence reviews for mergers and acquisitions of corporates. •	International Tax Advisory including tax issues of a corporation carrying on business in other jurisdictions. •	Conduct Statutory, Tax and Internal Audit of Financial Statements of Corporates & High Net Worth Individuals. •	Conduct Transfer Pricing Audits for Cross Border Transactions of Multi-National Corporations •	Conduct Due Diligence audits assisting corporates in business acquisitions, mergers and restructuring. •	Conduct Forensic and Limited Review of Financial Statements for Corporates and Multi-National Corporations. •	Investigating Serious Frauds and Maintaining trails to unearth complex issues. •	Reporting to Banks, Insurance Companies and Investigating Authorities on complex issues. •	Prepare and maintain compliance of Annual and Quarterly compliances with Regulatory authorities such as Reserve Bank of India and Insurance Regulatory & Development Authority. •	Representation before Regulatory Authorities such as Reserve Bank of India to secure permissions and approvals for corporates, expats and individuals.